Indian literature is celebrated across the globe for its depth and intricacy. Twenty-two official languages and a history of around 3,000 years in written literature are reflected in the literary richness of the country. 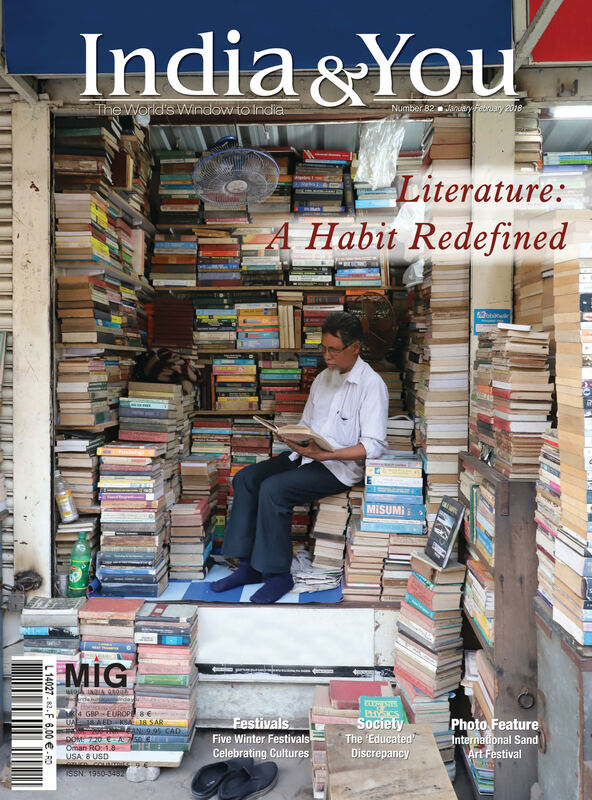 India & You looks at five Indian writers who have been expanding the horizons of Indian literature by engaging with globalisation and modernity. Mani Shankar Mukherjee, born in 1933, is a Bengali writer who became famous after his first novel about Noel Barwell (former army man) titled Kato Ajanare (so much unknown). At the same time in 1962, Shankar conceived his story – Chowringhee, on a rainy day at the waterlogged crossing of Central Avenue and Dalhousie – a busy business district in the heart of Kolkata (city in east India). The novel set in a hotel, was made into a movie in 1968. Chowringhee is translated into English and French and its translation into Italian is pending. His other works translated into English include The Middleman, The Great Unknown, and Thackeray Mansion. Many of Shankar’s other works have also been made into films. Some notable ones are – Jana Aranya and Seemabaddha, both of which were directed by Satyajit Ray. In addition to his literary efforts, Shankar is also regarded as a street food expert with two books on this topic. 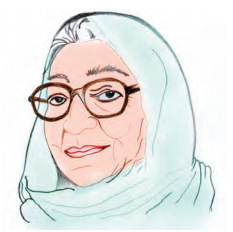 Famous for playing with new writing styles and developing courageous and fearless characters in her stories, Krishna Sobti – the Hindi fiction writer, was born in Gujrat – Pakistan’s Punjab province, in 1925. She initially established herself as a short-story writer, with her stories Lama (about a Tibetan Buddhist priest), Nafisa, and Sikka Badal Gaya (story about partition of India) – all published in 1944. Educated in Indian capital Delhi and in the northern hill-station of Shimla, she began her higher education at Fatehchand College in Lahore, Pakistan, but returned to India after the India-Pakistan partition. Her choice of subjects ranges from partition and relationships to the ever-changing dynamics of the Indian society and human values. Sobti is best known for her novel Mitro Marajani – portrayal of a married woman’s sexuality. Though women’s issues are the primary narratives in Sobti’s works, she has resisted being labelled as a ‘woman writer’ and insists on the importance of occupying both masculine and feminine viewpoints as a writer. She sometimes also writes under the pen name ‘Hashmat’ and has published Hum Hashmat – a compilation of pen portraits of writers and friends. Some of her other novels are Daar Se Bichchuri, Surajmukhi Andhere Ke, and Yaaron Ke Yaar. Some of her well-known short stories are Badalom ke Ghere and Sobti Eka Sohabata. A number of Sobti’s works are now available in English and Urdu, and her use of idiomatic Punjabi and Urdu has expanded over time to include Rajasthani as well. Sobti had won the Sahitya Akademi Award (literary honour given by the National Academy of Letters) in 1980 for her novel Zindaginama and recently received the Jnanpith Award (literary award) for her contribution to Indian literature. Madath Thekkepaattu Vasudevan Nair, popularly known as MT, is an Indian author, born in 1933. M T began as a poet but soon turned into a prose writer. His first ever published work was an essay on the diamond industry of ancient India, titled Pracheenabharathathile Vaira Vyavasayam, which appeared in Keralakshemam, a bi-weekly published from Guruvayoor (town in south India). 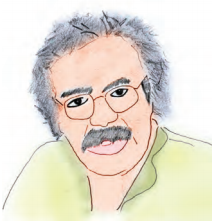 As a reputed writer in modern Malayalam (language spoken predominantly in the south Indian state of Kerala) literature, most of his works are oriented towards basic Malayalam family and culture, with three of his novels revolving around matriarchal families in Kerala being Naalukettu, Asuravithu, and Kaalam. He came under the spotlight at the age of 20, when as a chemistry undergraduate, he won the prize for the best short Malayalam story at World Short Story Competition conducted by The New York Herald Tribune. His debut novel Naalukettu (ancestral home) – translated to English as The Legacy won the Kerala Sahitya Akademi Award in 1958. His other famous novels include Manju (mist) and Randamoozham (the second turn) – which narrates the story of the Hindu religious text Mahabharata from a different point of view. His first story Vishuvaghosham was published in Madras-based Chitrakeralam magazine in 1948. The story explores a sense of loss and feelings of a boy too poor to have crackers of his own, as he stands listening to the sounds of crackers coming from the houses of the rich celebrating the traditional south Indian festival of Vishu. Nair has won many honorary and literary awards including the Padma Bhushan (third highest civilian award in India) in 2005, and Iruttinte Athmavu (creature of darkness) is one of his most celebrated short stories portraying the life of a young man, regarded as mentally ill by everyone. It narrates the insanity behind the seemingly civilised world. 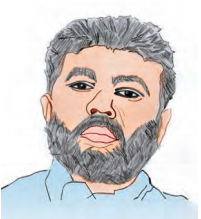 Perumal Murugan, born in 1966, started his literary journey at a young age, with some of his early lyrics for children’s songs featured on programmes broadcast by the All India Radio (India’s national broadcaster). The Tamil (language commonly used in the south Indian state of Tamil Nadu) writer is the author of 10 novels, five collections of short stories and poems, and 10 non-fiction books. Three of his novels have been translated into English: Current Show, One Part Woman, and Seasons of the Palm, which was also shortlisted for the Kiriyama Prize (international literary award awarded to books about Pacific Rim and South Asia) in 2005. 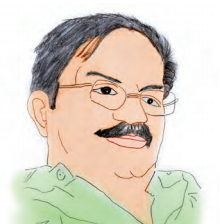 As a PhD in Tamil literature, the writer has made significant contributions to research and academic study of Tamil literature specific to the Kongu Nadu region in south India, including building lexicon of words, idioms and phrases special to Kongu Nadu, and has also worked on publishing authoritative editions of classical Tamil texts. His first novel, Eru Veyyil (rising heat) was published in 1991, which described the problems of complications in a family, greed and corruption. In 2017, the English translation of Murugan’s novel Madhorubhagan (one part woman), won the Sahitya Akademi’s Translation Prize. 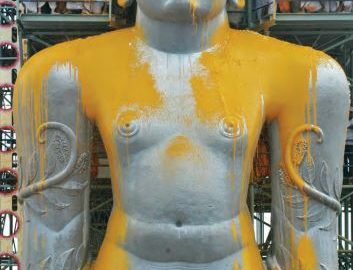 In September 2017, hounded by Hindutva and caste outfits, over his novel Madhorubhagan, which was under attack, Murugan announced to give up writing altogether. However, he is no longer a writer in exile as he is working on four more books. Hulkuntemath Shivamurthy Sastri Shivaprakash or H S Shivaprakash, born in 1954, is a Kannada (language spoken predominantly in the south Indian state of Karnataka) poet and writer. He is currently a professor at the School of Arts and Aesthetics, Jawaharlal Nehru University, New Delhi, and also heads the Cultural Centre at Berlin, known as the Tagore Centre, run by Indian Council for Cultural Relations (ICCR). With seven anthologies of poems, 12 plays, and several other books to his credit, his works have been widely translated into English, French, Italian, Spanish, German, Polish, Hindi, Malayalam, Marathi, Tamil and Telugu. Besides, Shivaprakash is also an authority on Vachana literature (form of rhythmic writing in Kannada), Sufi and bhakti (devotional) movements in India. 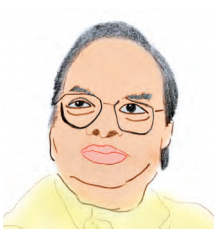 After obtaining his MA in English literature from Bangalore University, Shivaprakash joined the Karnataka government service as an English lecturer and in 1996, he was appointed as the editor of Indian Literature – the bimonthly journal of Sahitya Akademi in New Delhi. Shivaprakash published his first anthology of poems Milarepa in 1977, when he was still 23, and was recognised as a new voice in Kannada poetry. However, it was upon the release of his second anthology Malebidda Neladalli in 1983, when he gained popularity. The poem Samagara Bhimavva was a hit and since then, Shivaprakash has published four collections of poetry, Anukshana Charite, Suryajala, Maleye Mantapa and Matte Matte. Shivaprakash’s poems make use of symbolism and motifs from everyday life to portray the nature of power and the contradictions of modern life. Some of his awards and honours include Karnataka Sahitya Akademi Award for poetry for his poems Malebidda Neladalli and Suryajala, four Kannada Sahitya Akademi best book prizes, Sahitya Akademi Award 2012, etc.